The American Health Council welcomes Susan Pitman, MD as “Best in Medicine” for her outstanding contributions to the medical field. A physician at Summit Medical Group and Short Hills Surgery Center in New Jersey, Dr. Pitman specializes in obstetrics and gynecology (OBGYN). While she has held her current role for three years, she has spent the last 28 years in the healthcare industry garnering skills and knowledge in general obstetrics and gynecology to ensure that she delivers optimal care to her patients. Inspired by her father — who was an OBGYN physician — Dr. Pitman decided to pursue a career in the same field. Although her father encouraged her to pursue a different career because of the heavy hours involved in the OBGYN field, she remained interested in the medical field. After earning a bachelor’s degree from Tufts University in Massachusetts, she enrolled at the University of Health Sciences, Chicago Medical School and earned a medical degree in 1985. She completed an OBGYN residency at the Long Island Jewish Medical Center in New Hyde Park, N.Y., in 1989. 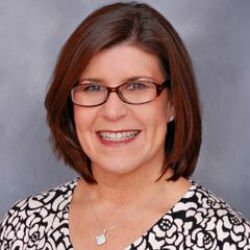 For 13 years, Dr. Pitman worked alongside her father as a physician and as a private practice doctor for 25 years. A fellow of the American Board of Obstetrics and Gynecology, Dr. Pitman treats patients from young teenagers to adults. She deals with a variety of cases from first-time OBGYN medical exams to menopause counseling. She diligently listens to their concerns and learns from their descriptions to further understand what influences their health. She respects her patients, helps educate them about health and prevention, partners with them in decisions about their health and well-being and treats them as a whole. She was named Top Doctor of New Jersey in 2017 and 2018. To continue to expand her skills, she is a member of several professional associations including the American Medical Association and the American College of Obstetricians & Gynecologists. Dr. Pitman contributes to various charities, including Planned Parenthood, Magen David Adom, Breast Cancer Awareness, Jewish National Fund and the Melanoma Research Fund. In her free time, Dr. Pitman enjoys maintaining an active lifestyle by skiing, hiking and spending time on the beach. She enjoys reading, traveling, seeing Broadway shows and spending time with her family. She attributes her success to having a great support system, her passion for her work and her great patients. Dr. Pitman plans to continue to succeed by continuing to provide excellent care and provide a positive environment for her patients. Summit Medical Group is the largest and oldest physician-owned multispecialty medical practice in New Jersey with 80+ locations in seven northern New Jersey counties. In addition to their offices in northern and central New Jersey, Summit Medical Group has comprehensive care facilities in several locations. 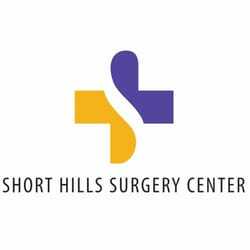 The Short Hills Surgery Center 25,000-square-foot medical facility features six major operating rooms, two minor surgery rooms, and 24 Recovery beds, including four private rooms, all within an upscale, comfortable atmosphere.